Congratulations to everyone who went to Nationals and raced! What a solid performances! The weekend finished on an awesome note with Greg Daniels taking the gold medal at the Pro men's RR and walking away with a jersey, a medal, and a brand new Volkswagon for his well-earned efforts. It is always a thrill to see the rider whom we ride with to make it to the very top of the sport. Congratulations again to Greg and to all our riders who continue to make us proud at every event. Saturday was a perfect day to race up the infamous Koppenberg hill. The last Spring Classic is in the archives. Despite the double whammy of a Memorial Day Weekend plus a competing National Championships, nearly 400 riders turned up to take on this Belgian-style classic road event, rescheduled due to a previous spring rain/sleet/snow storm. After a hard fought battle with good competitors from the other teams on fast dirt roads with a 17% two-track dirt power climb, Craig Hofer took 3rd in MM 50+ 1-2-3 race! The rest of the team put in some good results as well: seven top ten out of 12 teammates racing. Hard work in training pays off! 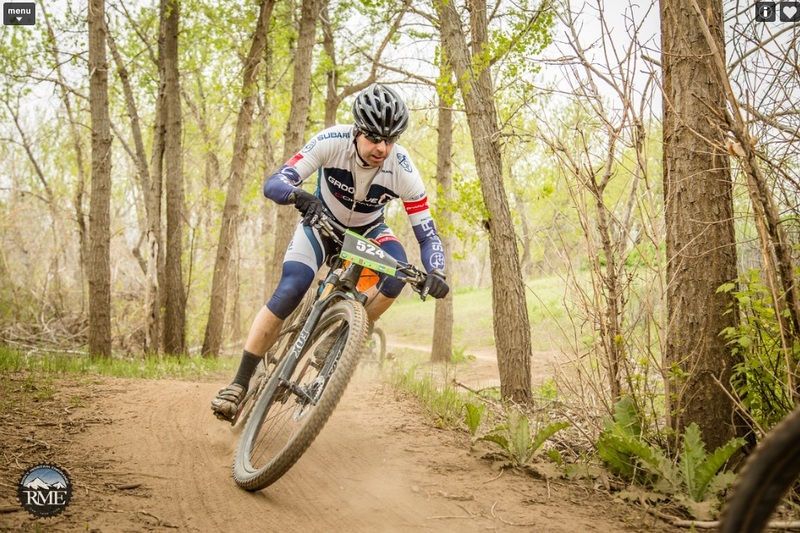 Huge props to all of Groove Subaru Excel Sports for putting on a terrific weekend of racing! Wednesday was the final day of the Karen Hornbostel Memorial Time Trial. It has been great seven weeks of racing at Cherry Creek State Park! Everyone was rewarded with beautiful weather last night for the season finale, making this the best series in recent history with no weather delays or cancelations. Kimberly Hodes was the fastest of the night in the MW 55-59 category with the time of 24:36.305. After a series of seven races here are the stellar results of our team: Kimberly Hodes was 2nd in the MW 55-59 field, while Chad Dalles and Michael Koren were 6th in SM 1-2-3 and MM 50-54 categories. We are proud of your performance and are looking forward to the rest of the season! 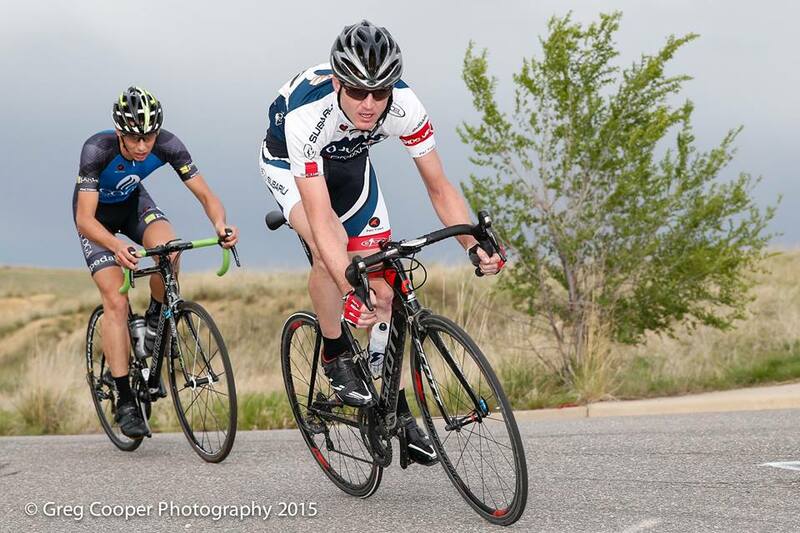 Weekend brought a Colorado Classic - The Morgul race series! We couldn't have asked for a more beautiful weekend on the Front Range. Superior Morgul Classic included a time trial, circuit race, and the infamous Morgul Bismark all packed into three days of great cycling. Annie Toth put in a solid effort for the time trial on Friday, the circuit race Saturday and the road race Sunday. She finished time trial in 7th place, circuit race in 5th place and road race in 2nd place, gaining enough points along the way to win the overall in the Women's Pro SW 1-2 race. Peter Landgraff brought 2nd place Omnium prize for Superior Morgul in MM 40+ 3 category home to Groove Subaru Cycling Team. He finished the circuit race 4th and placed 4th after racing road race. 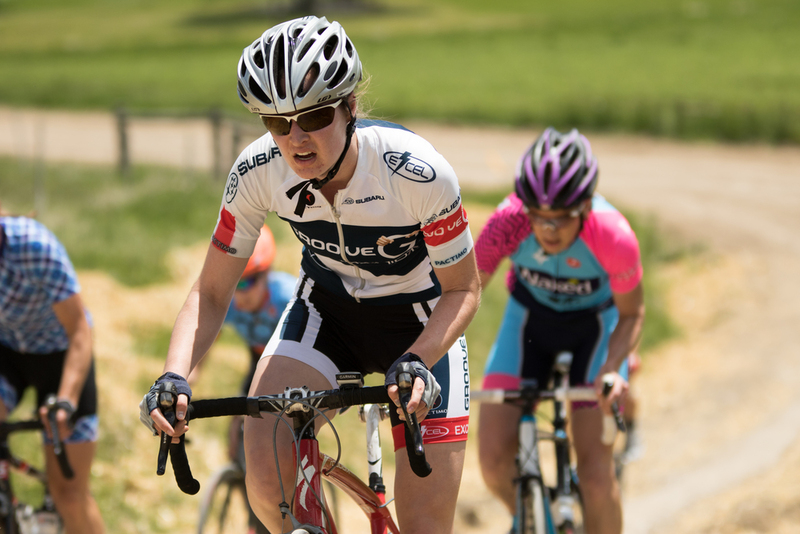 Nice riding by Groove Subaru’s Kimberly Hodes at this weekend's Superior-Morgul Omnium in the MW 50+ race as well. Kimberly finished 2nd in time trial, and won Morgul Bismark securing 2nd overall for the weekend in her category. Way to ride Michael Howells who was near the front in MM 40+ 4 group on all three of the weekend's stages, including a 8th place finish on Friday's time trial, 6th place finish on Saturday’s circuit race and 7th place finish on Sunday’s road race. Michael finished 2nd overall for the weekend! Congrats to Craig Hofer who has no fear of attacking or riding hard. Finishing 14th in the time trial, 7th in circuit race and 5th in the road race meant an overall 2nd place finish in MM 50+ 1-2-3 category. Thomas Herman broke into the top ten in the SM 1-2 group with a solid 3rd place finish in the Superior Morgul Classic Circuit Race. He was able to make the early break and hold on to a solid finish in that race. We are proud of what these guys have done for the team. Great weekend of racing on a classic courses! There is no stopping Groove Subaru Excel Sports as we racked up five wins, ten podiums and lots of great racing this week! On Wednesday Marco Vasquez was on top of the leader board for the MM 45-49 field with time of 22:00.275 at the Karen Hornbostel Memorial Time Trial. And yes, Kimberly Hodes made the podium yet again with a second place finish and with just one last race left is currently leading the overall MW 55-59 series. This week is “magic week” for all the racers that are looking to medal. Only the top 6 out of 7 races count towards the series championship, so if you missed a night or just had a bad day, a good ride on Wednesday could move you up in the rankings. The Best on the Hess TT this year was held in chilly spring conditions but with some really hot times with racers like national masters TT champ, the World Champ Individual and Team Pursuit champ Daniel Casper, the Swiss TT champ, two Gila podium winners, the current PRO national champ and Gila TT winner Zirbel. Andrea Thomas and Kimberly Hodes put everything they had into The Best on Hess TT and made the podiums with 2nd and 3rd places in SW 1-2 and MW 50+ races, respectively. 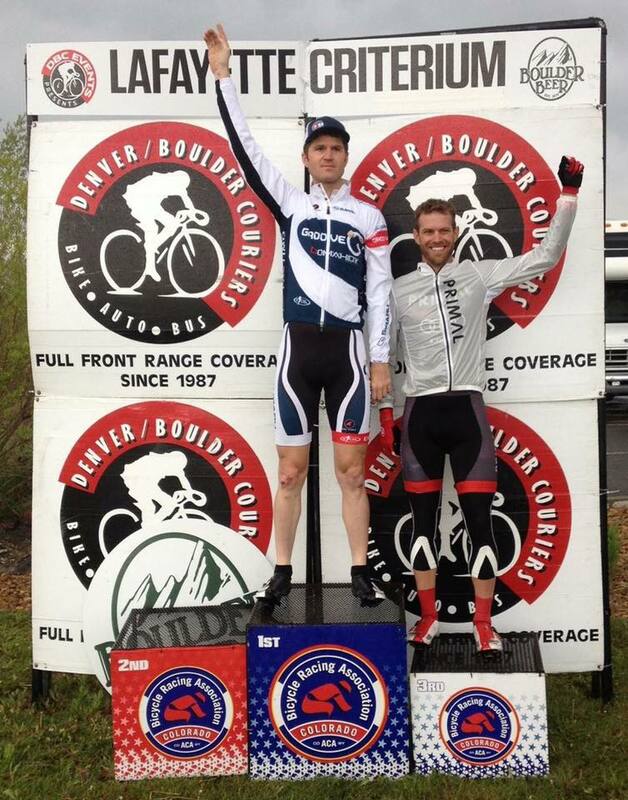 Also, congrats to Thomas Herman who pedaled himself to the top podium at the Battle the Bear race! The first of this years' Warriors Cycling - Rocky Mountain Endurance Series . Three 11.5 mile loops, each with a little over 900' of gain make it a very, very fast course. 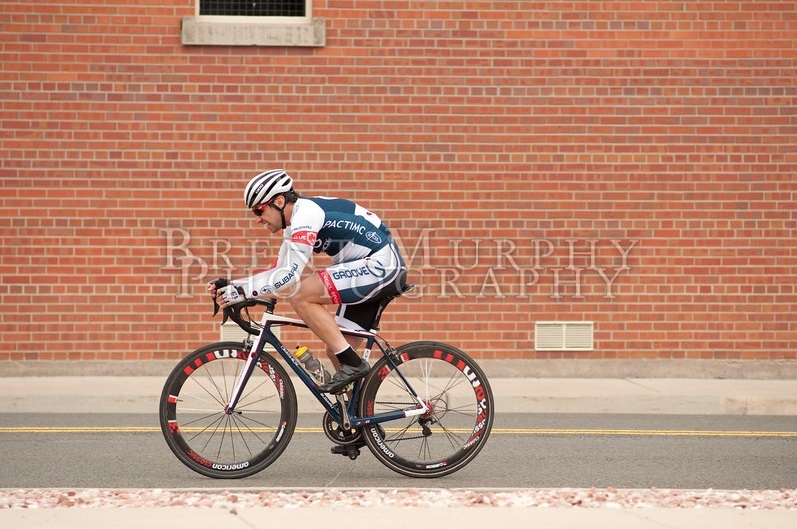 The team was also on fire at the Lafayette Criterium Sunday in spite of unseasonably cool and wet conditions . Big kudos to Margot Clyne, Thomas Herman, Chad Dalles who took 1st in SW 1-2, SM 1-2 and MM 40+ 3 fields. Byron Nix and Michael Howells were 3rd in MM 40+ 1-2-3 and MM 40+ 4 races. There were 8 top-ten in addition to the podium spots and 15 of you tried to conquer that hill at the Lafayette Crit Sunday. It was another week full of action for Groove Subaru Cycling Team! Hard to believe, but we are past the half way point in the Karen Hornbostel Memorial Time Trial Series already. Kimberly Hodes had the fastest time last two weeks in a row in MW 55-59 field with time of 25:07.96 and 24:45.00. Kimberly improved on her time every week so far shaving almost two minutes off her first time out! Five weeks down and two to go. Can she find a couple seconds out there in the final two races next couple weeks? Saturday brought us a new road race East of Denver - The Oz Road Race on a 37 mile loop near the Front Range Airport. With significant winds, a few rollers, a short dirt section, and long miles, the climate and the riders' initiative made this into a hard fought battle for the nearly 500 riders who were there. Congratulations to our riders Thomas Herman and Kevin Selker who took 2nd and 3rd in SM 1-2 group, and Andrea Thomas and Sabrina David who finished 2nd and 4th in SW 1-2 field. In addition to the podiums there were 9 top ten finishes, and 26 of you all showed up to race on a less than ideal conditions day! Thank you for racing and congratulations! Solid work, folks. What's next!? What a busy week for Groove Subaru Excel Sports Team: one win, three podiums and lots of great racing! 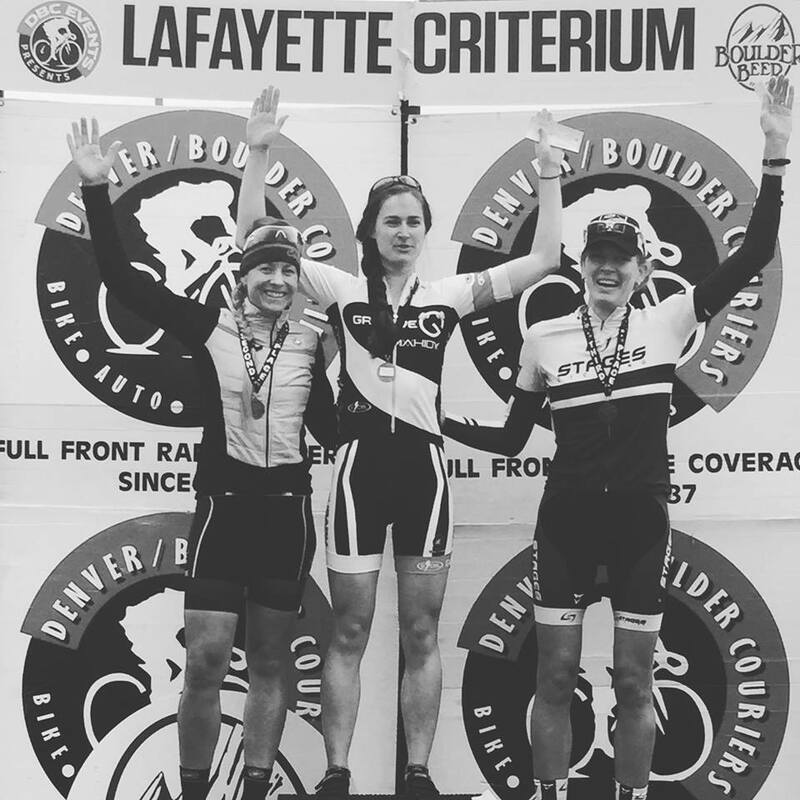 First, on Wednesday Kimberly Hodes made the podium with a 2nd place in the MW 55-59 category at the Karen Hornbostel Memorial Time Trial Series at Cherry Creek State Park. 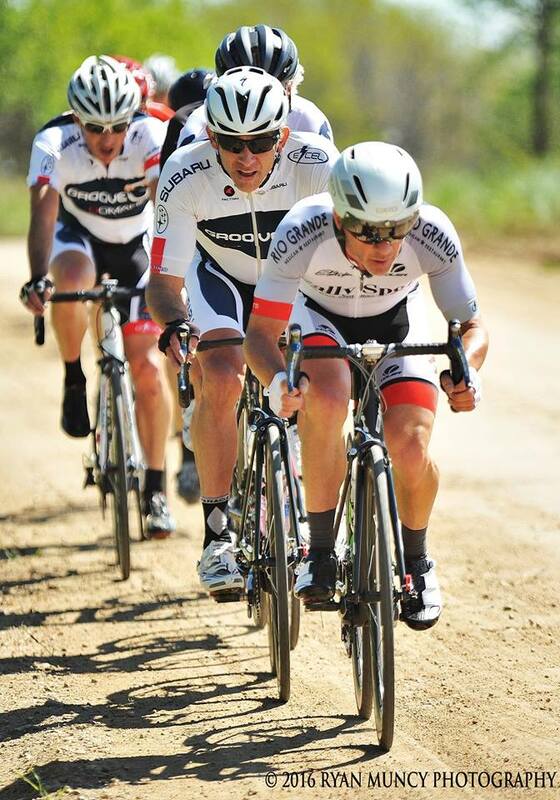 Then on Saturday, the team raced in the Clasica de Rio Grande road race in Johnstown, CO. It was an absolutely gorgeous day. We had a great road team presence and everyone had a fantastic time racing in the farmlands of Weld County. Unfortunately, there were numerous mishaps in each event, and the 40+ 1-2-3 finish was neutralized by the Chief Official because of a serious crash on the final approach to the finish line in the Cat4 field. I'm happy to say all of our guys came out on the other side in good shape. Once again everyone left nothing on the table with Kevin Selker finishing 2nd in the Pro 1-2 field sprint and Gorimir Zhelnin finishing 2nd in SM 5 field only .0028 behind 1st. Super team work and strong racing guys! Finally, Denver Federal Center Classic was another awesome race for the team that brought out the best in everyone and shook off the remaining off-season cob webs. 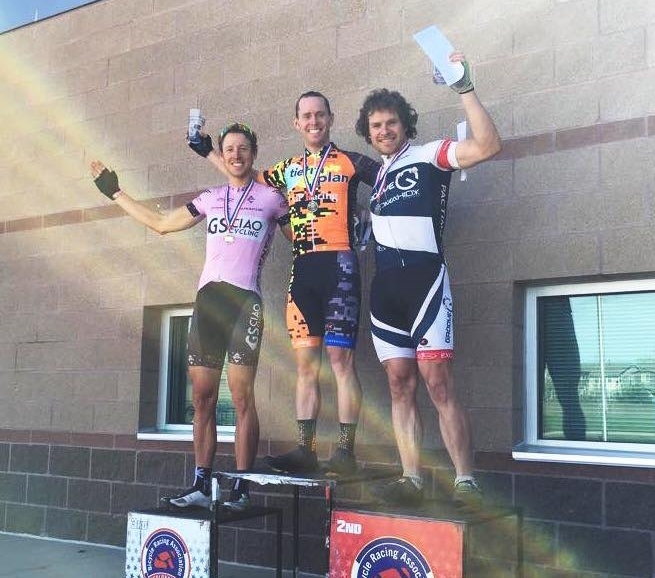 A big congrats to our rider Jim Scheel for his first podium of the season in MM 40+ 4 field at the Denver Federal Center Classic! A big thanks also goes out to all our riders who showed up and raced! It is April in Colorado, so after a couple weeks of good weather, the snow returned Saturday and Sunday. The weather forecast for Fort Collins was nasty, with weather models showing anywhere from 100% chance of rain, to two feet of snow and 20-30mph wind for the weekend, so the CSU Rams team decided to cancel the races before people drove from all over the state to have them cancelled later. Sorry to everyone who had their heart set on heading north. The good news is that the CSU Rams team is looking to reschedule both races, possibly for the weekend of May 28th – May 29th. On the other hand, the Race of Truth or Karen Hornbostel Memorial Time Trial Series #2 last Wednesday was a beauty! Congratulations Marco Vasquez who took 2nd place in in MM 45-49 category. A big thanks also goes out to all our riders who showed up and raced! With a number of great races this week, may the odds be in our favor. Let’s hope weather wouldn’t bag any more good races, so we can get out, shake off winter coat, test out legs and stomp it out! It is hard to imagine the KHMTT without rain or snow, but last week the annual TT series took off again at Cherry Creek Reservoir with uncharacteristically warm and perfect weather. Nearly 300 riders took to the curvy, undulating roads to test themselves against the clock and their competitors. Congratulations to Michael Koren who had the second fastest time among 22 riders in MM 50-54 field. Saturday saw the riders tackle an individual TT with the CU Buffs TT day. Sunday was the CU circuit race on a short but scenic loop nestled in between Hygiene and Lyons. All told, 377 USAC riders took to the roads north of Boulder. Byron Nix fought hard in the MM 40+ 1-2-3 race and pedals his way to the 3rd place finish! Congratulations to all those that raced and again to those who stood on top of the podium! It was a perfect-weather weekend with some fast racing action. The team saw some great results on Saturday at the Louisville Criterium, the first big criterium of the year. Riders were treated to the best weather conditions so far this year, and the action on the course was just as epic. 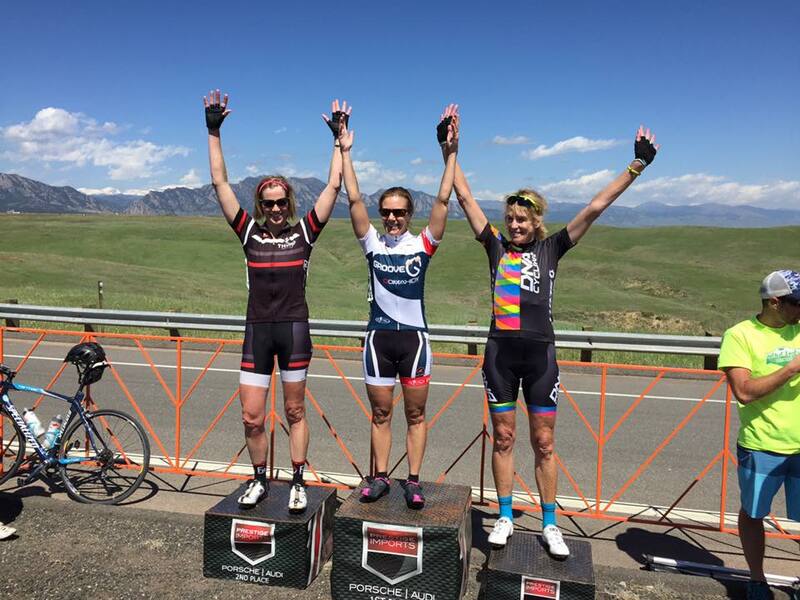 Our new team member, Andrea Thomas was racing her heart out and took 1st in the SW 1-2 field. In SM 5 Gorimir Zhelnin is2nd, in MM 40+ 1-2-3 James Dunkleberger is 3rd and in MM 40+ 4 Michael Howells is 3rd. 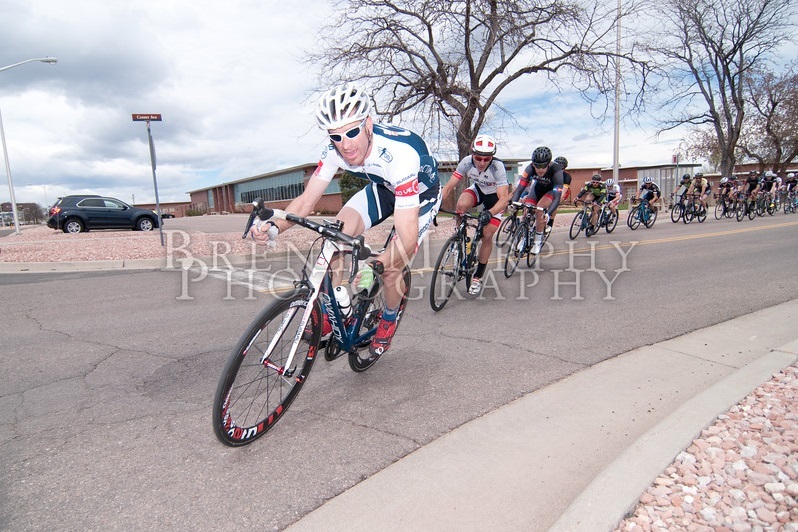 Solid weekend of racing for Thomas Herman who was 3rd in the Front Range Classic Criterium on Saturday, and 3rd at the Front Range Classic Road race on Sunday in SM P-1-2-3 category. Hard work pays off! 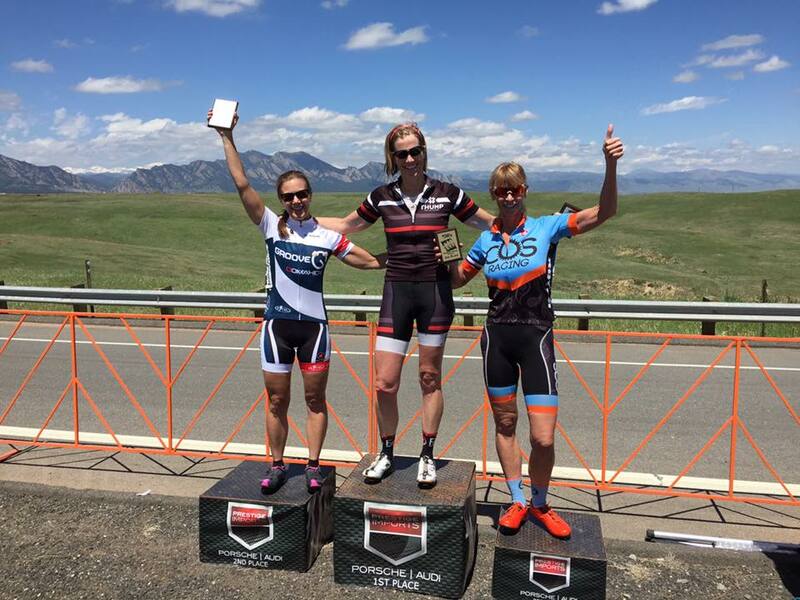 Ten Groove Subaru team members tackled Front Range Classic road race Sunday and Andrea Thomas added another podium for our team this weekend after taking 3rd place in SW Open field. Fantastic results and great turnout!! Congratulations to all those that raced and again to those who stood on top of the podium. Almost 200 dedicated racers postponed hiding Easter eggs yesterday so they could take on Lookout Mountain after a week of rescheduling due to two winter storms. It ended up to be a chilly but sunny day for the swagger-earning participants. Congratulations Annie Toth and Samantha Lunsky who took 1stplaces in SW1-2 and Collegiate A Women categories at Oredigger Classic- Lookout Mtn Time Trial. Fantastic results guys!! The 2016 road season began this Saturday near the Wyoming border with the annual Frostbite Time Trial. It may have been the warmest and least windy Frostbite TT in history. 394 riders set off on the race of truth. Between the TT and the DU City Park Criterium on Sunday, 700 BRAC riders have officially begun their seasons. Great to see all the roadies who made it and raced! Thank you to everyone who participated and congratulations on a great start of the new season. · There is no longer a three tiered points system called gold, silver, bronze. Instead, the levels of points are determined by participation, kind of like USAC upgrade points. More people starting in your group mean more points. · Individual Time Trials now count for team points as well as individual points. · The entire team point system has been revamped. Instead of a team's points being the sum of the individual points for the first three riders, now each team is ranked each day and then a point value assigned for the team placing. Also, if your team does not have two or three riders in the group (depending on which group it is), it will not receive team ranking points for that race. Kimberly Hodes takes the 55+ category win, while Marco Vasquez gets the 2nd in MM 45+_1,2,3 field, and Annie Toth rounded out the podium in 3rd in SW 1-2 class at the first race of the season, Frostbite Time Trial. Andrea Thomas and Shane Orr rode hard to stay in the lead group at DU City Park Criterium Race and secured 2nd places in SW Pro-1-2-3 and MM 40+ categories to make the podium! Great first weekend of racing for all our team! 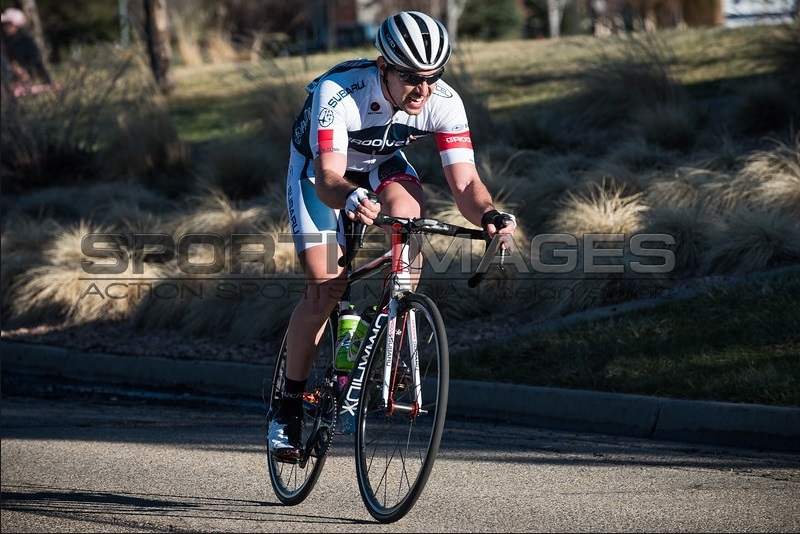 It may be January in Colorado and some of us are freezing up, but Thomas Herman put in some fast paced work and rode strong to finish 3rd in Pro 1-2 race at the 2016 Avondale Criterium in Arizona! Congrats Thomas! Great way to start the season! Jason Hartman on his way to the 14th place out of 95 racers in a large, fast field for the Masters 40-44 at 2016 Cyclocross National Championships. Nice job Jason and congrats! Our newest team member Dan Reback had an awesome time competing in his first cyclocross race last Sunday - Mile High Urban CX Chaos race here in Denver! Being his first race, Dan entered the Citizens category race ...and he was able to bring home a victory for Groove Subaru! Awesome job racing one of the hardest, scariest, most technical courses! We can't wait to see where this takes you in the future! Another race in single digits is in the books. Cyclocross on the front range of Colorado never ceases to disappoint. Jason Hartman and Chris Walsweer are taking on the snow and frigid temps during Littleton Cross past Saturday, while Will Iaia is making it all the way to the podium in Single Speed field. ®2017 Groove Subaru Cycling. All rights reserved.